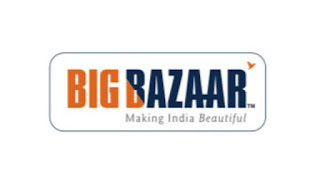 Big Bazaar, one of the leading hypermarket chain from Future Group to announce its first ever three-day ‘Free Shopping Weekend’ from March 23 to 25. Citizens can shop for Rs 2,000 and get it back through free Grocery products, Apparel, Home & Kitchenware shopping vouchers. Adding another offer, all new Future Pay (e-wallet) users will get a cashback of Rs 500 and is valid on shopping of Rs 2000 and above only. The Free Shopping Weekend will offer the best deals on a wide range of products like staples, food, spices, tea, beverages, apparel, footwear, home care products, home fashion, kitchenware and much more. Citizens can also pre-book by purchasing a ticket for Rs 100 which is redeemable post shopping. The hypermarket retail chain has also partnered with RuPay to extend 10% Discount on all Debit and Credit Cards purchases. With the motto of ‘Making India Beautiful’, they want to ensures that all the products are of good quality and offered at the lowest prices. Big Bazaar announced its first ever three-day ‘Free Shopping Weekend’ from March 23 to 25. On shopping for Rs 2,000, shoppers can avail of several free products. All Future Pay e-wallet users will get a cashback of Rs 500 on shopping for Rs 2,000 and above. The deals are on a wide range of products.